I hope you like our new site. It was necessary since the old site became corrupted. Not in a political or economic sense, but it just stopped working. If you visited here in the past 6 months, you probably noticed. It was embarrassing. 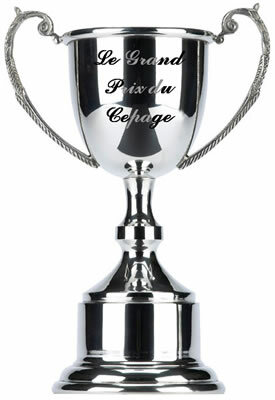 Le Grand Prix du Cépage – We Have a Winner! After thoroughly checking the applications for synonyms, clones, steroids and other performance enhancing drugs, we now have an official winner. Thomas Reagan, Jr of Georgia is the champion with 431 grape varieties. He just edged out Michael Mangahas of Maryland who had 419 grape varieties. I have two giant applications that I am still assessing for duplicates. We will have a winner later today! Update . . . lots and lots of synonyms to check . . . count is going into the night . . .
That’s 95 more than Heinz’s 57! And in one bottle no less! Through the generosity of Tom Reagan (our reigning champ with 426 varieties) I was able to try the 2005 Giribaldi Cento Uve Lange DOC a wine that our sole Indian member, sommelier Subhash Arora, has written about. Obviously this wine poses a problem for the Wine Century Club. Since we allow all the grapes in a blend to count towards our totals, it makes things far too easy – one sip and Bob’s your uncle – wham-bam welcome to the club. Where’s the adventure in that? Something must be done! I convened an emergency executive committee meeting where we came up with a ruling: the 2005 Giribaldi Cento Uve Lange DOC can not count for initial membership in the club but the grape varieties in it can count towards higher levels of membership (ie Doppel). It’s about 50% Nebbiolo which is interesting since Nebbiolo is rarely blended with other grapes and some would say that, like Pinot Noir, it’s a grape that shouldn’t be blended. Initially it was fairly closed and not very interesting, but opened up into a very aromatic and enjoyable wine – floral, roses and violets along with a big splash of Dr. Pepper with cocoa and cherries coming out on the palate. The tannins were abundant and chewy but also drying which would usually indicate that it needs a few more years in the cellar, however in other ways it already seems fully matured. I wouldn’t wait, especially if you’re working on your Doppel level! It was perfect with grilled sirloin. 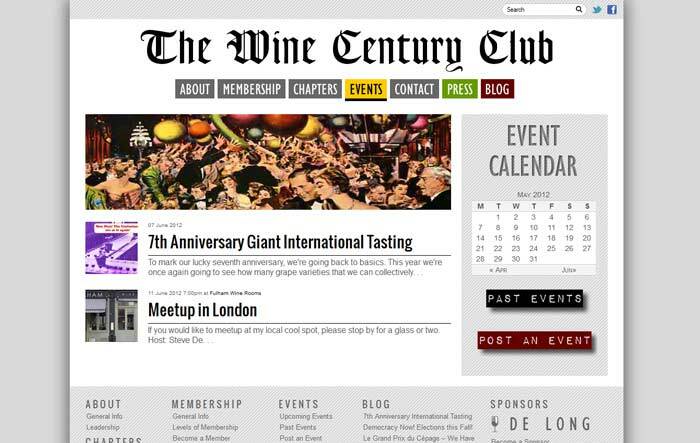 For most people, becoming a Wine Century Club member means starting a quest. It is the very rare wine drinker who can sit down with the application and be able to check off 100 grapes with ease. But although the task of reaching 100 may appear daunting at first – and for most potential members, reaching the goal will indeed require some work – it can be very fun and rewarding. In many ways, this has to be treated as a research project. I’ve spent 25 years as a market and public opinion research consultant and thus probably have a mind that revels in such an effort. For those who don’t think in research terms day in and day out, here are some tips that might prove of value in meeting your goal; whether it’s the first 100 grapes, the second (Doppel), or even beyond. Although most of us will not commence our preparations for Christmas until the beginning of Advent, without doubt we are already being bombarded with the shops and other commercial operations via TV, newspapers, the mail, and the Internet, all trying to attract our attention to but this and that since the beginning of November, and some even earlier. Then, cakes, puddings, mincemeat, pickles and even decorations were more often ‘home made’ from October onwards with only the final touches left to the week leading up to the ‘big day’. Oh yes, how we of mature years remember! But that is history and unlikely to return. It is time to look ahead to the festivities in this, the 8th (or is it the 9th.) year of the new millennium. What preparations can we, or should we, be making NOW? Presents are one of the priorities, but they are more of a personal item. Selection should be left to the individual and the influence of the sales staff concerned and not from the interference of this newsletter. Cards are mainly an Anglo-American habit, but with rising postal costs, postal strikes etc. may well decline this year in favour of the Internet (unless you are a famer in the heart of rural Wales, Scotland or the American outback). Possibly the largest headache is in selection of the main course – what to have and with what to accompany it to make a memorable Christmas feast. To cover all the possibilities would need the writing of yet another book on food. Even in Europe, – country, regional and even area variations abound, so where to begin? This year the proposal is a change from the traditional turkey to – ROAST GOOSE. Goose was the vogue in many parts of the United Kingdom long before turkey was introduced and became commercially available. Nuts (salted cashews, peanuts, walnuts or other types of nut), partnered by Brut Champagne NV. It makes the ideal accompaniment but can be expensive. Any Brut Traditional Method (once called Methode Champenoise) is acceptable. A good choice here is Crémant d’Alsace (Chardonnay- Pinot Blanc blend) from France or one of the many Traditional Method Italian sparklers. Although fairly expensive, an aromatic, rich, spicy, and lasting wine is necessary to accompany the locally produced fois gras from this region. Gros Plant du Pays Nantais or Muscadet sur lie. My favourites are from Château du Cléray – Sauvion et Fils. ‘Fat’ oysters – is one of the few dishes that make the highly acidic Gros Plant remotely drinkable. Many people refer to this wine as ‘the nearest thing there is to paint stripper’ It is surprising that when partnering ‘fat’ oysters it is perfect. With oysters the wine partner must be both dry and fairly acidic. Whilst the Muscadet grape (Melon de Bourgogne) is excellent, Sauvignon Blanc from a cool climate is also very acceptable. Roast Goose – There are many recipes on offer for making the most of a Christmas goose, but the art of preparing and cooking it is seldom included. Reading the magazine ‘The Poultry Keeper’ a year ago, Melanie Daniels’s article, gave a no fuss, traditional, old fashioned, but simple set of instructions on how to prepare and cook a goose. To her I am very grateful – it works!!! Here it is. The only item missing was the plucking of the bird; my advice – let the supplier do it for you. Goose produces a huge amount of fat and therefore the roasting dish MUST have a draining tray to catch this fat and enable it to be drained off (and reserved) from time to time. 1. Remove the giblets and excess fat from the inside of the bird. 2. Pinch and prick the skin (Do not stab the meat). This helps with the running off of the fat. 3. Rub the skin with sea salt, pepper, and herbs de Provence. 1. Place the prepared bird in a large dish (or double casserole). Place it into the pre-heated oven at 220 degrees C (440 degrees F) for 10 to 15 minutes. 2. Reduce to 190 degrees C (370 degrees F) and cook for a further 25 – 30 minutes per kilo. (This will make for a ‘medium’ cooked bird. If you like the meat ‘well done’ a few more minutes will be necessary). 3. Remove the bird about every 30 minutes and drain off the fat. (The fat should be retained for cooking the potatoes). Baste the bird at the same time. 4. At any sign of scorching, cover that part with foil. 5. At the end of the cooking period, allow to rest for 30 minutes turning the bird upside down to allow for the breast meat to remain moist. Keep them simple, roast goose is very rich and is best shown to perfection when not overwhelmed with too many side dishes. Parsley and thyme stuffing – home made adding in some of the giblets, finely chopped, and a little goose fat to bind. Cook separately from the bird or it may go soggy. Redcurrant jelly, apple sauce, or whole cooked chestnuts could also be considered. Potatoes – roasted in the oven in goose fat until golden brown. This is a main dish to satisfy a king. This is a rich meal; therefore the wines need to have flavour, depth and acidity. Brouilly or Cote de Brouilly from the Beaujolais. Château Thivin en Beaujolais 2006 or 7. Their Brouilly and Cote de Brouilly have all the flavour of the gamay grape plus good acidity. Both are produced on the granitic soils of the area with the Cote having a hint of volcanic heat on the palate. Mount Brouilly is the site of an ancient and now extinct volcano. The Geoffrey family have been making wines here for 5 generations. Côte de Nuits from Burgundy. Try to avoid the softer wines from Southern France. From Italy – The Piedmont family of wines from the Nebbiolo grape (Barbaresco, Barolo etc.) or a quality DOC Barbera also pair well with the goose. Cheese – If you are having a cheese course, select your cheeses to match the wines chosen to accompany the goose. Blue cheeses – Stilton and Roquefort are rich and tasty but need to be accompanied with a sweet botrytised wine (or Vintage Port). Dessert – Although many Brits will insist on their Christmas pudding at this stage and continuing with the port, the more weight conscious may prefer fresh fruit to clean the palate. Coffee with Armagnac or a VSOP cognac. The wines specifically mentioned ABOVE are available in the UK, the USA and Canada, but naturally not everywhere. A quick look at the web for any of them, or at the site of the company itself, may give a satisfactory answer. As stated in previous articles I prefer to search out my wines from small independent growers, not just from the super- and hypermarkets; the latter cannot be expected to stock lines that may have a production of a few hundred bottles. For example in the Beaujolais alone there are more than 400 producers. Some produce under their own label but the majority sell wine or grapes or both to the ‘larger’ companies throughout the whole of Burgundy. They, in turn, blend the producers wine, or make the grapes to suit their own house style. 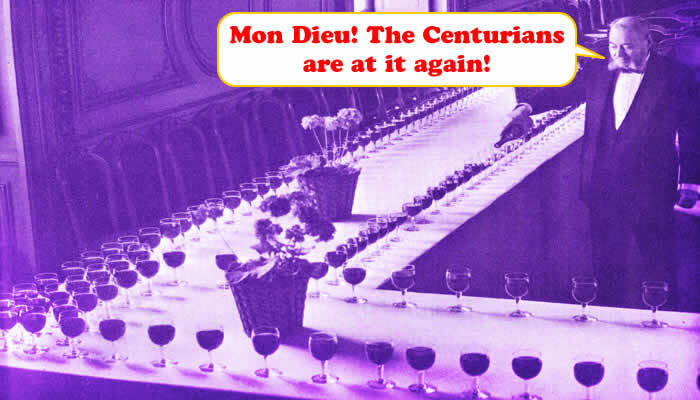 This has led to one well known wag of a grower referring to Beaujolais wines blended and bottled in the Cote d’Or around the town of Beaune as BEAUNE-JOLAIS. Lisa Donneson, having gained her Wine and Spirit Education Trust Diploma in 2006, set up Bouké wine to promote the wines of Long Island NY. Yes you have it correct – Long Island (NY) wines, – from internationally known vitis vinifera grape varieties. In French terms Lisa became a négotiant – éleveur (a person who buys grapes, – it could be wines, but not in her case -, for the purpose of making and selling wines under her own name) With many of the French major red and white vine varieties represented (as they are grown commercially in the area around Long Island), what better name for her company than a play on the French word ‘Bouquet’ for the name of her company. The wine making expertise comes from Giles Martin (no relation to yours truly) who hails from the Rhône Valley in France and honed his expertise with the likes of Roederer and Delas Frères. Together they select the grapes from the local growers and then produce some excellent quality wines. Due to the complexity (and I put it mildly) of the US state and national wine laws, most of the wines are sold within New York and New York State, although some representation has been negotiated with merchants outside of this region. Promotion and advertising of her wines is mainly through hotels, restaurants, and specialist functions – often allied to the fashion industry. Full details of these events can be found on her website (www.boukewines.com). I only wish that I had the opportunity to attend some of these promotions, especially those that are food related. That is not possible as I live in a small village situated in the Hautes Alpes region of France. Lisa and I go back in time to her study days when I was given the task of marking some of her ‘dummy’ essays from past WSET Diploma papers. It was obvious from the research she made before going into print with her essays that it was only a matter of time before she became fully involved with wine. Her strength of character was also indicative of ‘going it alone’ rather than be involved in some multi-national operation. It is these ‘boutique’ operations that keep variety, quality, and variation in this wonderful world of wine and for those of us that enjoy, without wine snobbery entering the lists, long may it continue. 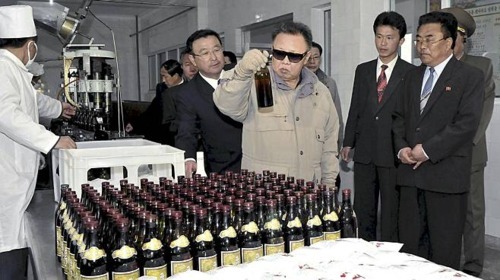 Personally I try to avoid branded wines, produced at a price point, and launched through every major supermarket group. 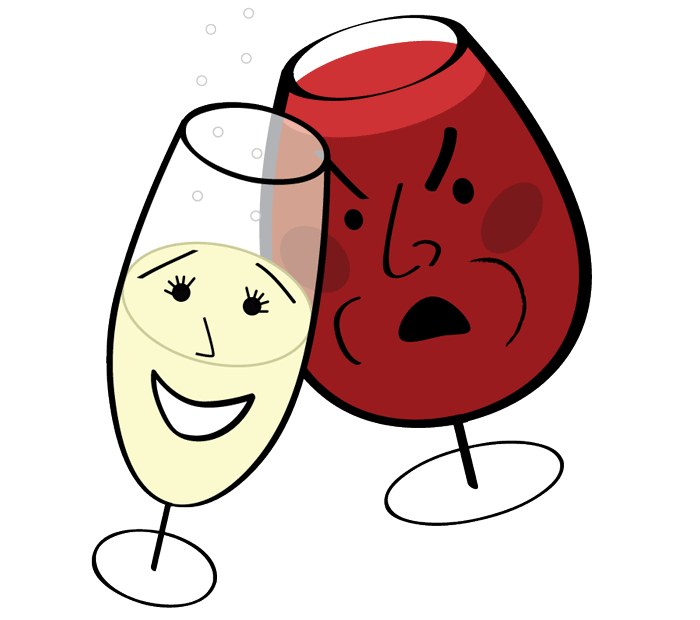 There are 4 wines currently in the range – a red, a rosé, a white and a white dessert wine that is fortified. By keeping the individual wine varieties separate, the blender can adjust them to suit not only the style of the wine but also the variations in the growing conditions from year to year. It is here that the true ‘art’ of the wine maker comes into its own. Bouké – White – 2007 – Carefully selected grapes, well blended produce this excellent wine (What a change from just another Chardonnay). The make up here is Chardonnay (of course) but with substantial contributions from Pinot Gris, Sauvignon Blanc, and to give a hint of spiciness, 7% Gewurztraminer. Faintly aromatic, crisp and well balanced, make this wine the perfect aperitif. It will also match with poultry and fish dishes, provided the latter is not too bland. Bouké Red – 2007 – A blend of the Bordeaux grape varieties with the addition of 15% Syrah. The latter adds depth to the colour and a hint of spiciness and liquorice to the taste. Using the produce of vines around 15 years of age ensures that there is a maturity in the wine from the onset. Full bodied, around 13% by volume alcohol, makes it a perfect marriage with full bodied red meat dishes, and venison. I accompanied it with a mutton, fruit curry with Caribbean vegetables – the recipe based on a traditional goat meat and fruit curry from Barbados (see photo) was accompanied by okra, plantain, sweet potato mash and Basmatti rice. Bouké Rosé – 2008 – With the huge revival in the popularity of rosé wine, production of such a wine has become a necessity rather than a fad. Bouké rosé combines both accepted methods of producing ‘pink’ wines – purpose made – short term skin contact and the ‘saignée’ (bleeding) method that is so popular in France. (Taking away some of the juice at an early stage allows more colour to develop for the red wines). Made from Cabernet Sauvignon and Merlot – the major constituents of the Bordeaux blend – , Bouké rosé is salmon pink in colour, with soft summer berry fruits on both nose and in the taste. It is an ideal aperitif, but also pairs well with barbecued fish and chicken, crab or fish cakes and the lighter styles of cheese. Bouquet Dessert Wine – NV – 17% by vol alc – (37.5cl bottles) – This is a true bit of innovation. Using Gewurztraminer, mellowed with a small percentage of Chardonnay, fortifying the wine to stop the fermentation (Port style) with chardonnay based grape spirit, the result is a delightfully sweet, spicy wine that still retains a crisp acidity (one advantage of the cool temperatures of Long Island).